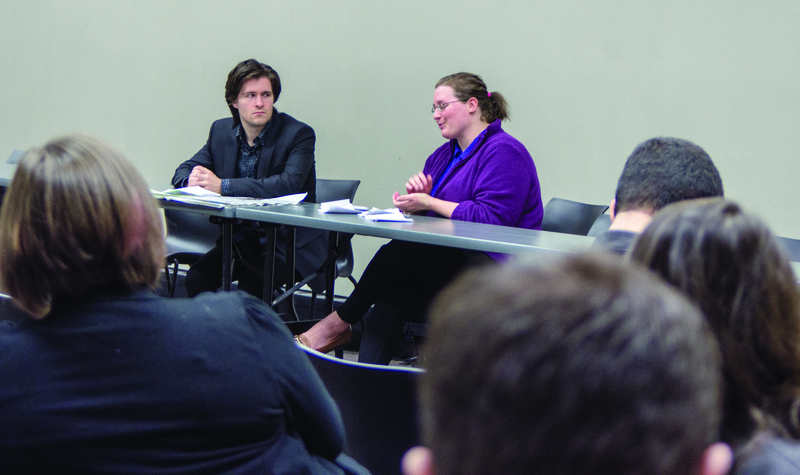 In advance of the Kwantlen Student Association general election, The Runner held an all-candidates forum on Thursday, Feb 2. to give candidates an opportunity to show their students why they are the right people to represent them at council. The three-hour forum was moderated by The Runner’s Coordinating Editor Tristan Johnston and Managing Editor Conor Doyle. The forum, which took place in the conference centre on the KPU Surrey campus, played out somewhat like a political debate. Moderators asked questions to all participating candidates from a given category—campus representatives, faculty representatives, and student representatives—with each candidate given a chance to respond. Candidates Tanvir Singh, Katherine Sounder, Kimberly McMartin, Rawan Ali, Jay Reedy John Shkurtaj, Natasha Farris, Murdoch De Mooy, David Piraquive, Zahid Dossa, and Kayla England participated in the forum. Aside from the candidates and The Runner organisers, the forum was attended by a handful of students interested in finding out more about their potential representatives, as well as several current KSA councillors who aren’t running for re-election. The full list of candidates along with interviews with each candidate can be found in The Runner’s previous issue or on the The Runner website. After a brief opening statement by Johnston, the candidates for Campus Representatives—Tanvir Singh for Surrey Rep and Katherine Souder for Cloverdale Rep, both of whom are running unopposed in for the prospective position. Both candidates were asked what their respective campuses need from their representatives. 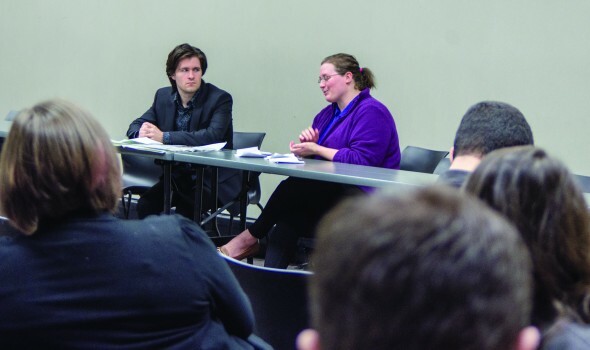 Singh responded by placing importance on the KSA’s ongoing efforts to include club space, while Souder recognized that the Cloverdale campus has lacked representation in the past and said that she would be the voice that students at the campus currently lack. Next up were the constituency candidates. These are the candidates who, if elected, will represent students in various demographic groups such as students with disabilities and mature students. Questions to these candidate generally centred on the unique needs of their potential constituents, and how candidates plan to address these issues. Lastly, the faculty candidates their made their cases. These are candidates who will represent students in the various faculties—business, arts, and science and horticulture. All business candidates mentioned that engagement through business-specific clubs is key for their constituents. Arts representative candidates put a focus on the ongoing issue of a lack of arts courses availability, with David Piraquive floating the idea of lobbying the university for a “pre-waiting list” that would allow students unable to get into key courses one semester to gain priority access the following semester. A recurring theme among all faculty rep candidates was a recognised need for candidates to be consistently available to hear from the students they represent. The KSA general election will take place on Feb. 7 and 8, with polls open on all four KPU campuses. All current students are eligible to vote. The KSA sees millions of dollars in funds coming from fees paid by KPU students and is responsible for many of the services offered to students, meaning that the results of this election will have a considerable impact on the student experience at KPU.